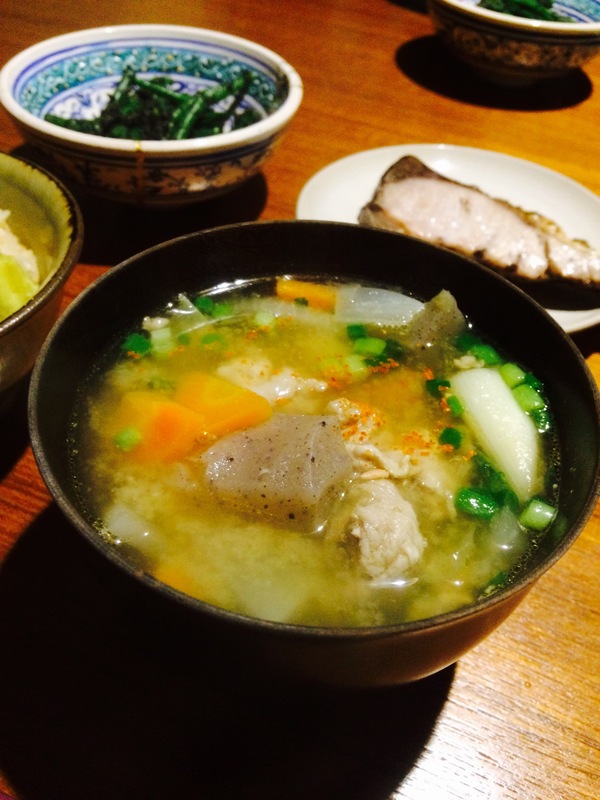 There are some ‘special’ miso soups regarded as a main dish in Japanese cuisine. 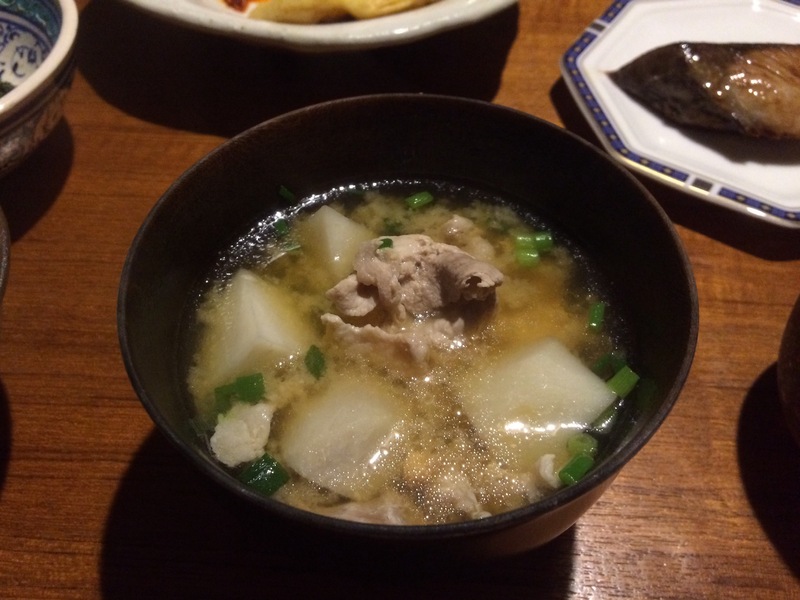 Tonjiru (pork soup) is one of such soups and the best dish for cold days. Not only at homes and restaurants, it’s also a popular food to be served at local gatherings and festivals. It’s nutritious, warm and suitable for both kids and adults. I remember that one of my elementary school teachers invited the whole class to the park near her house during the winter vacation and treated tonjiru. She told our parents not to tell the school about it. And our parents agreed. She did it at her own risk and so did our parents. The whole class, including the parents, shared a secret and we liked that. Now it might be difficult as most people hesitate to take risks, especially when it matters kids. *Ingredients marked with an asterisk are additional. 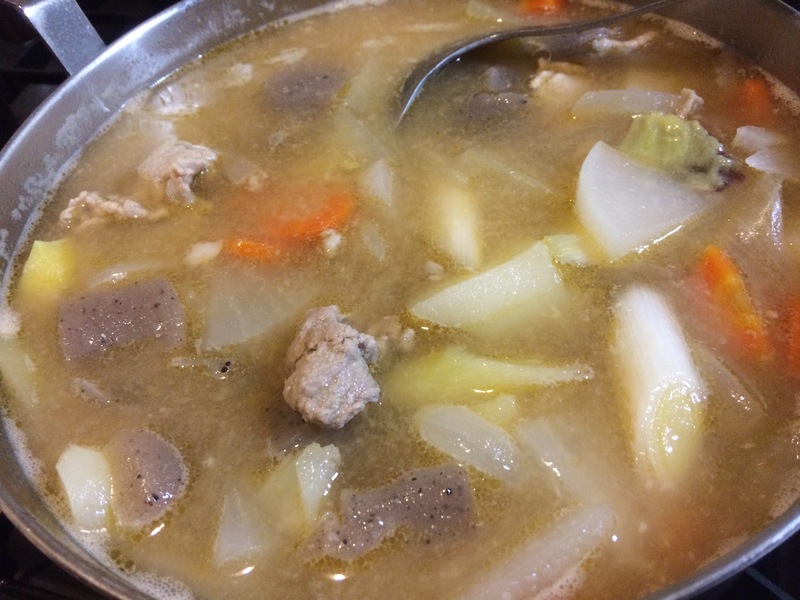 *The basic idea is to add pork and a variety of root vegetables and there’s no strict rule besides that. Please enjoy choosing the vegetables as you like. It’s nice to add some mushrooms such as shiitake, shimeji or maitake. 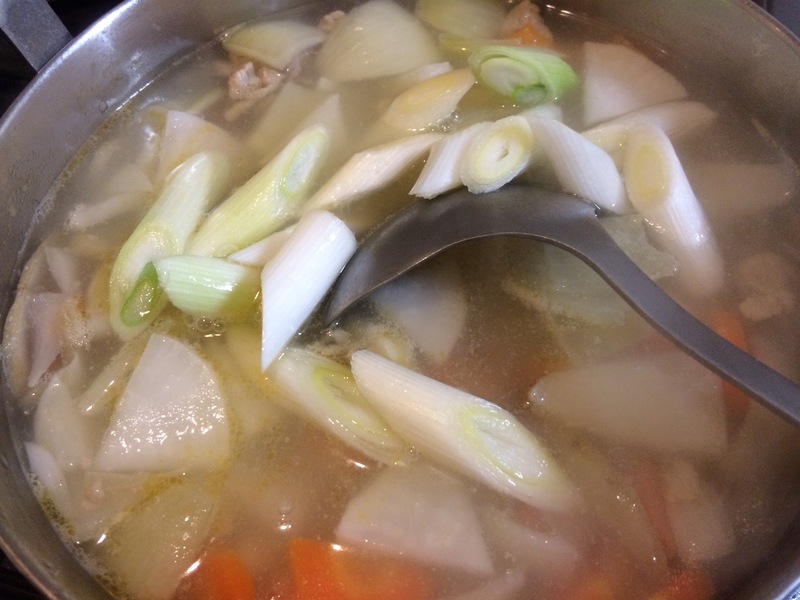 Cut the vegetables and pork. Add sesame oil, burdock root, onion, carrot and sliced pork and stir-fry. Add water in the pot. Then add daikon raddish, potato, sweet potato, konnyaku and green onion. When the vegetables become soft, add miso paste. Serve in bowl, top with chopped scallions and sprinkle chili pepper. *I prefer stir-fry some of the ingredients first, but some people don’t. They start boiling the ingredients with water. Either will work well so it’s up to you how you cook it. If you choose not to stir-fry the ingredients, I would recommend adding a bit amount of sesame oil at the end. It will surprisingly increase the flavor.